It’s (almost) to revisit a former flame. 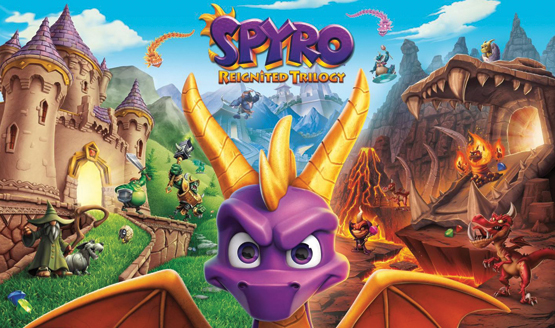 We are, of course, referring to Spyro Reignited Trilogy, the three-game revival which follows in the footsteps of Crash Bandicoot in bringing that spirited little dragon onto PlayStation 4. It’s been a long time coming, too, given Activision spent years clutching onto the rights for both Spyro and Crash Bandicoot. But now, they’re free, and two of PlayStation’s most famous ever platforming heroes are home. Well, almost. Spyro Reignited Trilogy is currently slated for release on November 13—six weeks later than initially expected, but we’ll get to that in a little bit—and to ensure you’re fully up to speed, we’ve combed through the Internet (and the PSLS archives!) to present to you everything you could possibly need to know about Spyro Reignited Trilogy in anticipation of launch day. Spyro Reignited Trilogy has been cleared for take-off. Its ETA? Tuesday, November 13. The question, really, is whether you’ll spend the next few days basking in nostalgia, or hold fire until a later date. Do let us know.